Update - stripes on dimmed face. Tap bezel numbers for different screens. One is for easy customization. 12 - time, date, and step count. Tap little circle for Google Fit. 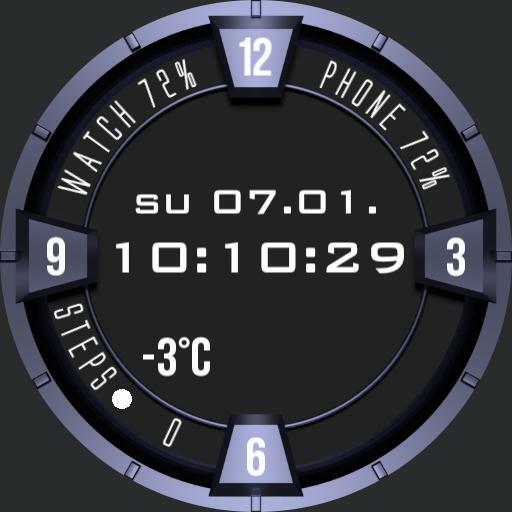 9 - stopwatch and shortcut for timer app. 6 - weather. Tap center for update. Battery values are visible in every screen. Dim face is just time in random position. If stopwatch is running, you get a reminder on dim face.